Neith Nyer was founded in Paris in 2015 by Francisco Terra, after the name of his grandmother. During his childhood spent in Brazil, this woman who taught him how to sew, also explained to him that designing clothes was not only a question of technical gestures. For her, it was a way to tell him stories, to hand over legends to him. It his the same approach that he now repeats collection after collection. 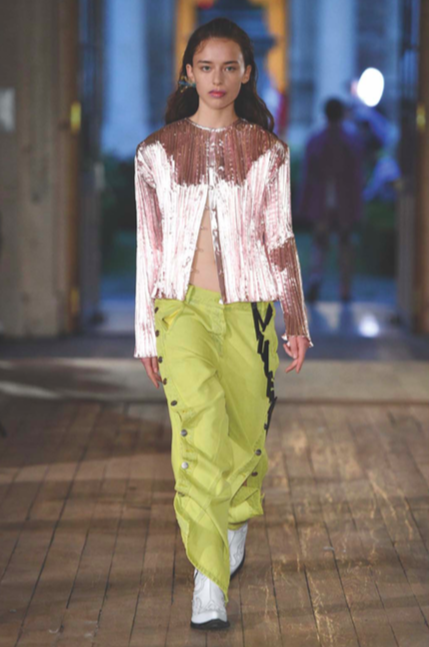 Since its first season, the brand endeavours to develop a popular vision of clothing, by taking its references to what is mainly considered as lower culture, or vulgarity. A bargain piece of garment bought in a suburban market is considered as much as an inspiration as a piece of art in some prestigious exhibition.